After several videos and disappointments, the MFJ-1788 Hi-Q Loop Antenna didn’t work on 40 m. Now it does! 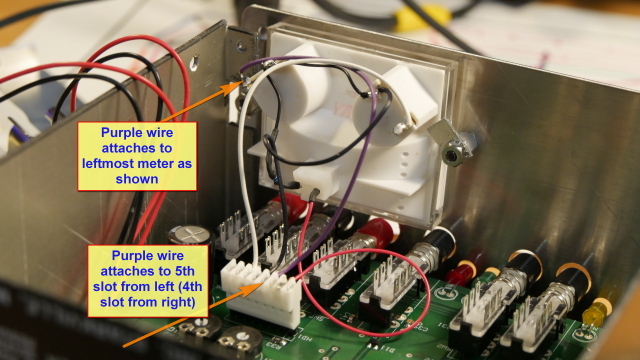 I took it apart to discover that the big capacitor was not fully meshing because of a mis-set limit switch. See how it works! I’m afraid the answer is “it depends.” The MFJ 1788 does work although it likes to be up in the air a bit. It can perform nearly as well as a regular outdoor dipole. But with the loop, you must constantly keep it tuned to whatever transmitter frequency you’re using. If you retune by even a few kilohertz, you will need to retune. With practice, it can become second nature. Note that it operates well as a receive antenna too, although again the bandwidth is very narrow, completely unlike your untuned receive-only amplified loop. The only way to know is to try, but given the expense of the loop, I’d suggest you borrow one from someone local before committing the money. Good luck! Dave, thanks for the videos-lots of good info. My question is: We see lots of reports about, loops amplified and tuned, but I can’t find any really in depth reports on transmission. I use a receive amplified loop and an attic 40/20 dipole for xmit. I am not sure of the effectiveness of the dipole on xmit. Tuned via a Dentron tuner. An open question is – will a $500 MFJ loop setting on my deck out-perform the attic dipole. So I am searching for comparative info. This video directed me to fixing a MFJ 10-30 MHz loop that I bought from a ham that couldnt get it to work. On taking it apart, I Gould two problems. That capacitor plates were not lined up and one of the limit switches was loose. The limit switch screw had also jammed the capacitor. After fixing the switch, aligning the capacitor plates, adjusting the limits, and blowing out dead bugs I had a working loop! Hi Dave, Thanks for your videos! I also have the mfj 1788 loop antenna. My issue is with the mfj 1786 remote control unit. I hope you can show how the inside of the unit looks in any event your viewers would like to do any simple repairs. In my case, when I turned on the unit, only the slow tune up button would light up green and stay lit. The down button and the fast tune buttons would not light up. I discovered that one of the wires (light purple) came loose from somewhere inside. Not having a picture of what the inside suppose to look like, I took a chance a solder the end of the wire to where I thought it could have come loose from one of the soldered areas; but to no avail. Also, I put new batteries in the battery pack and unit does not cut on; but will cut on with the available power supply and meter light comes on. Any suggestions before I send out for repairs will be greatly appreciated! Hi Gerhard, you’re beyond my experience with antennas. Please let me know how it works out—I’m curious! Just found your site. Love it. Please give me an explanation to my observations on the MFJ RX&TX loop antenna. I constructed a current (toroid) and voltage (voltage divider) sampler and mounted it right after the transmitter before the loop tuner. As I varied the transmitter frequency (about 10 w) around the previously center tuned loop frequency, the resultant lissajou figure did move, but it never went through the typical 45 degree angle as seen on resonant circuits. nor was the typical +-90 degree phase shift observed. Using time differences at zero crossover between the current and voltage waveforms in nanoseconds, it indicated a phase shift that went from a maximum to a minimum (at resonance) back to maximum, but never reversed direction. Examination of the coupling revealed an air coil inductor of many turns and a fixed capacitor on the input circuit before the single 16 ga loop, both of which I saw also in your “Unpacking” video. What is going on with the voltage to current relationship ?? why is the classical phase angle reversal not observed with this L/C antenna design??? ?